Are you leveraging IT as a critical business advantage? Do you want to know how to best utilize your IT to stay competitive? Do you have a clear picture of your organization’s IT capabilities? Do you know if your business goals align with those IT capabilities? If you don’t have clear answers to these questions, this IT Roadmap webinar is for you! Better align IT capabilities with your business needs! 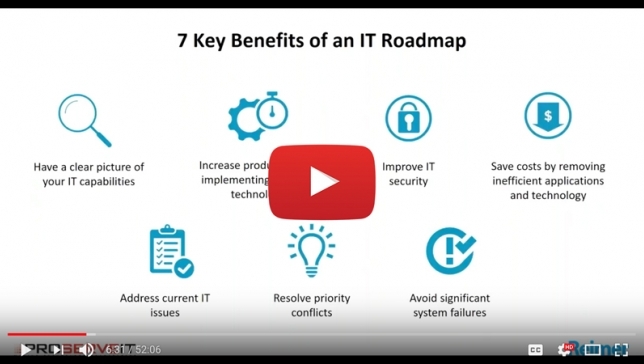 What is an IT Roadmap and who is this for?